Two students who walked away from their Johnston County elementary school Friday afternoon were found safe about three hours later. 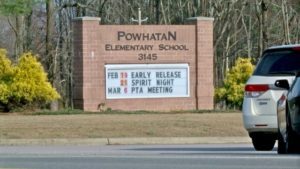 Around 1:45pm, an 8 year-old and 9 year-old walked away from their classmates during recess on the grounds of Powhatan Elementary School on Vinson Road in Clayton. 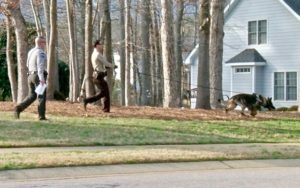 They were last seen walking toward a wooded area next to the campus. When they did not return, school personnel contacted Clayton Police. Police were joined by the Clayton Fire Department, Johnston County Sheriff’s Office, Johnston County EMS, Johnston County Emergency Management, and NC Highway Patrol who began conducting a ground search and focusing on the wooded area where they were last seen headed. Around 4:45pm, the children were found safe by a resident on Windsor Green Drive in the Windsor Green subdivision less than a mile from the school. The children were reunited with their parents at the elementary school. As a precaution, dismissal for other students at the school was delayed but eventually students were allowed to leave with their parents or ride their bus home.